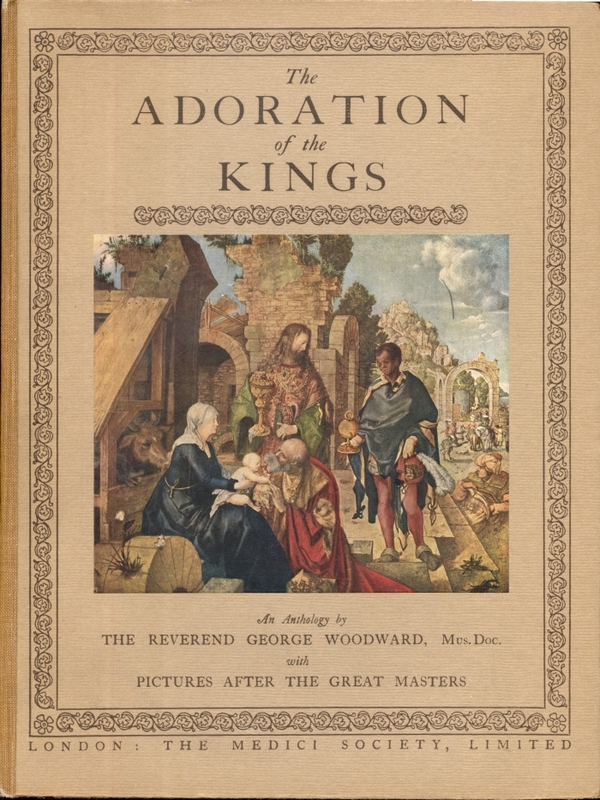 Editor's Note: The text below is from George R. Woodward, The Adoration of the Kings (London: The Medici Society, 1924). 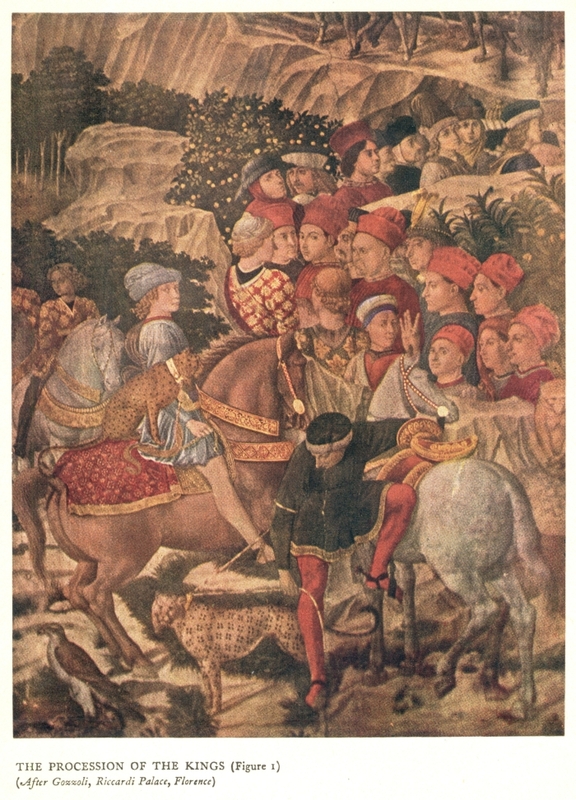 Benozzo Gozzoli was born at Florence in 1320. 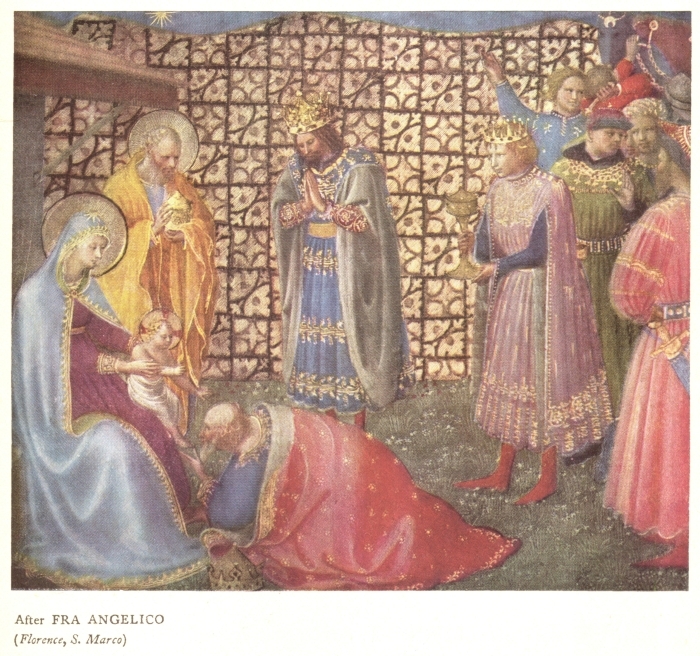 He was a pupil of Fra Angelico. 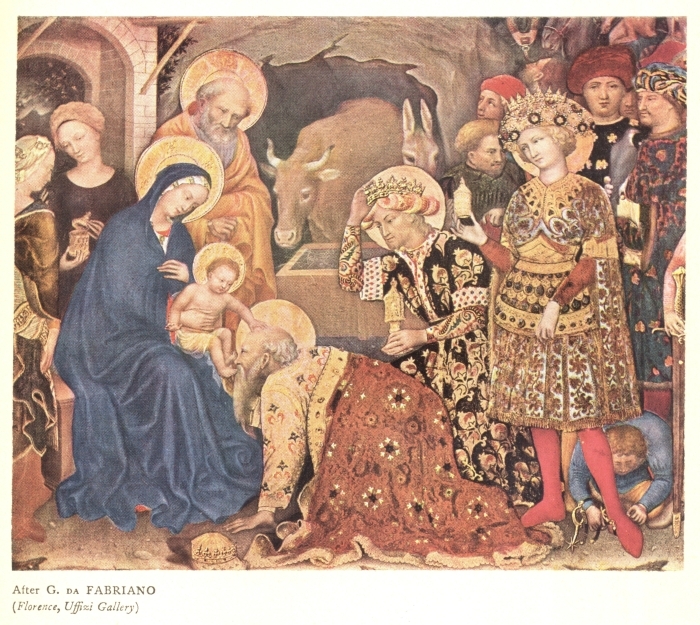 The city of Pisa contains his greatest work, the frescoes in the Campo Santo, which took sixteen years to complete. 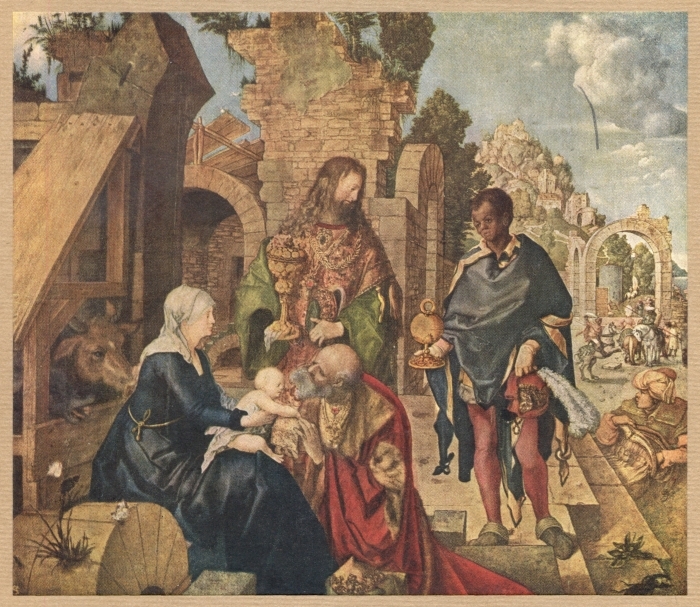 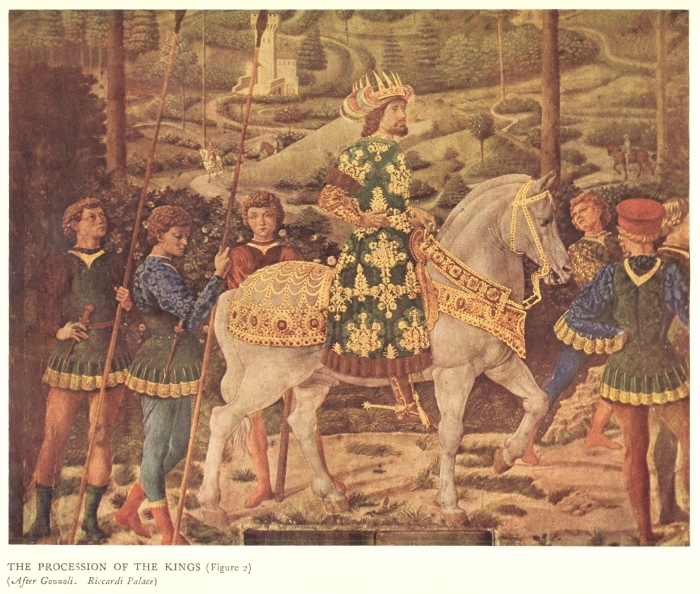 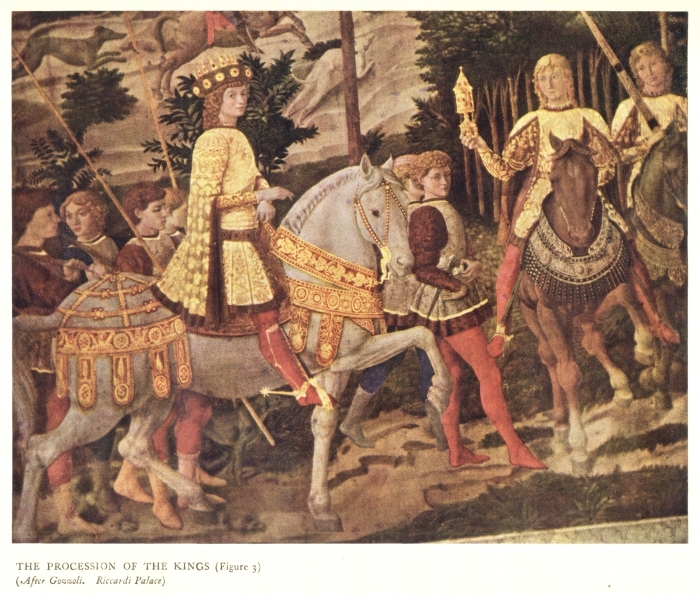 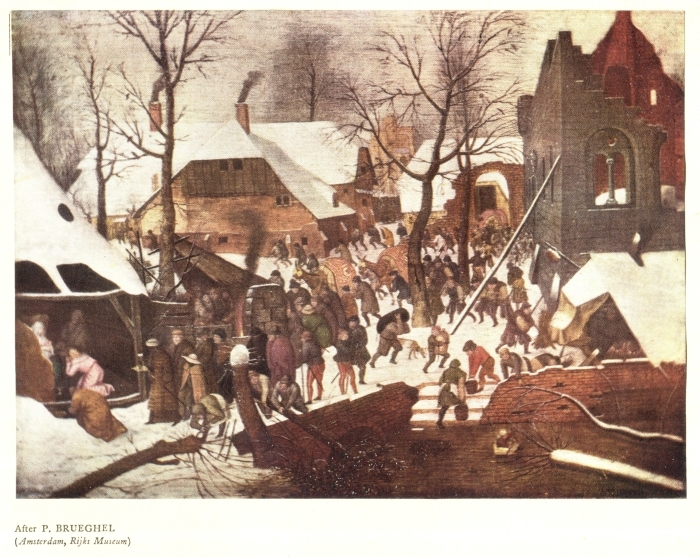 His best works in Florence are the frescoes representing The Procession of the Magi, which are still in brilliant condition on the walls of the Riccardi Palace; three details from these frescoes are reproduced below. 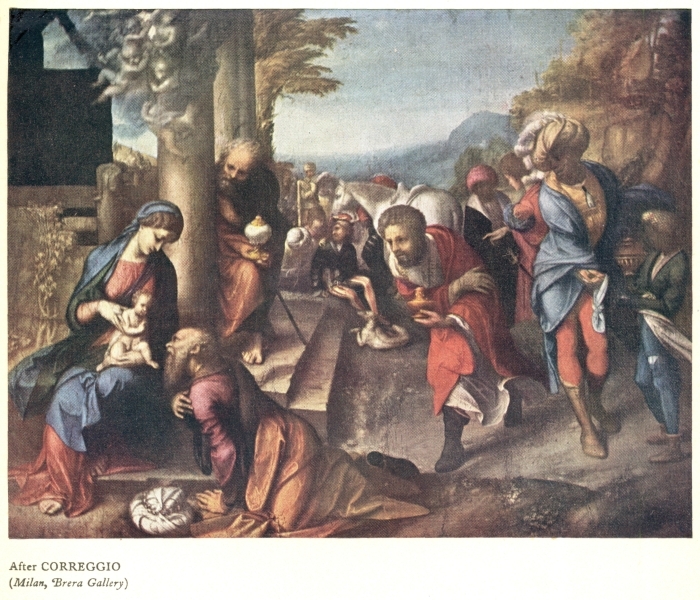 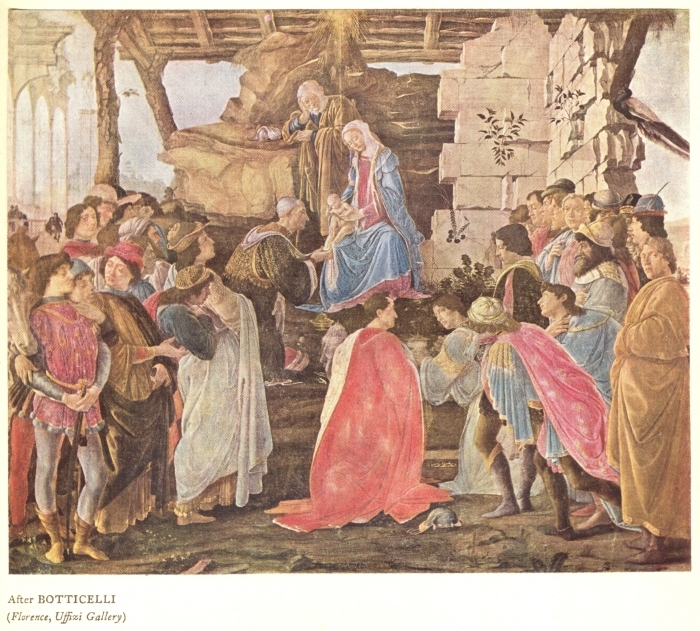 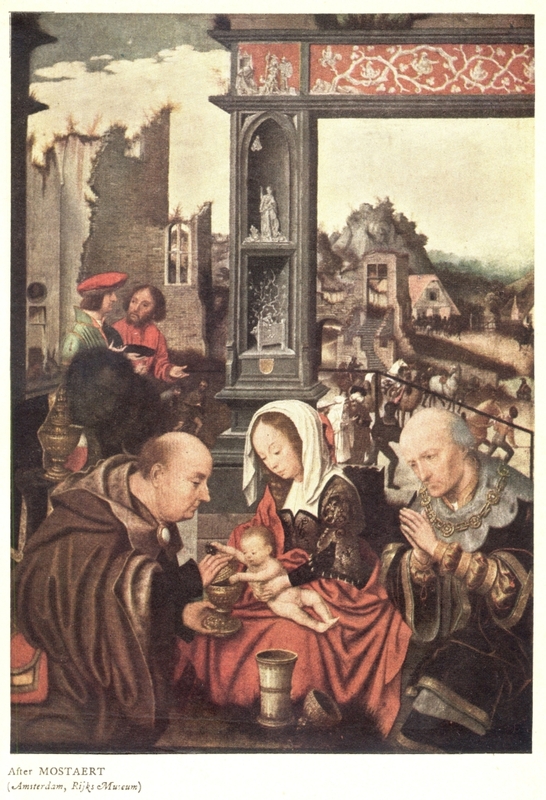 Benzzo must be regarded as one of these great great masters of the Renaissance, and he excelled in the three unities of his calling – composition, drawing, and colour.